Our farm-based, rural location offers children large play areas, animal interaction and lots of fresh air! Farm Friends was established in 2005. The nursery is located in the most peaceful of settings surrounded by beautiful countryside, providing an idyllic backdrop for high quality care and education. We are family-owned, which parents say adds to the personal touch we provide. 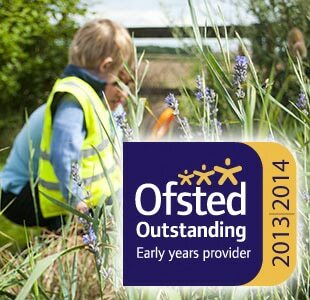 Our highly qualified staff look after children from birth to four years of age, and we are proud to have an ‘Outstanding’ Ofsted rating. The Farm Friends day nursery near Shrewsbury is open 51 weeks of the year from 7.30 am until 6pm (excluding Bank Holidays). 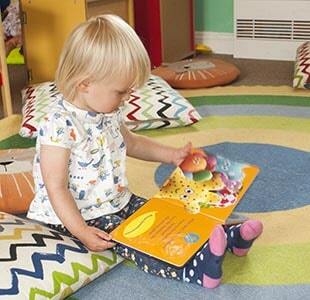 We currently have a limited number of term-time only places available for children over two years’ old. If you would like to find out more about why parents have chosen Farm Friends, please follow the link to our latest Ofsted report. We would also be delighted to show you around in person – please contact us to arrange an appointment.